Botulinum Toxin (BTX), an exotoxin produced by the bacterium, Clostridium Botulinum, occurs naturally in nature. It is synthetically manufactured for clinical use and achieves chemical denervation of striated muscles and sweat glands by blocking Acetylcholine, the messenger substance, at the neuromuscular junction. 1. 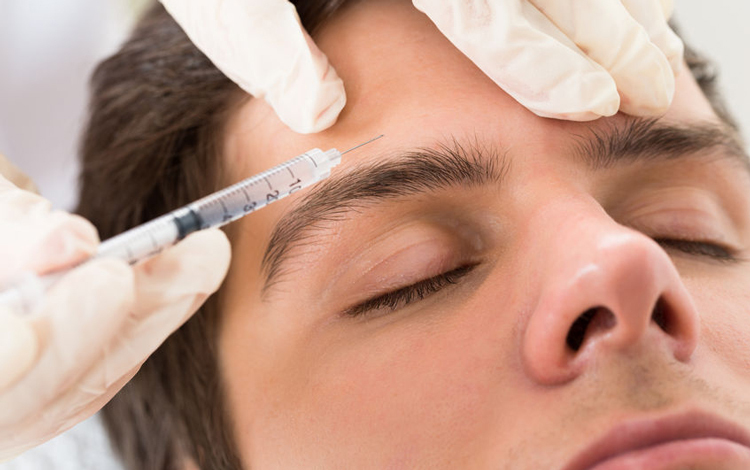 How often must I do botulinum toxin treatments? The normal duration of action is 3-4 months. However, due to loss of habit and decreasing muscle bulk, the duration of action may increase over time, making less frequent treatments possible. 2. What will happen when I stop using it? The muscles will merely return back to their former strength. 3. How much bruising will there be? Bruising is always a possibility when using a needle, however, tiny needles are used and pre-treatment with ice is one of the ways to reduce the likelihood of bruising. 4. Will I look unnatural? A good understanding of functional muscle anatomy and a critical aesthetic eye should give the practitioner the tools to create a natural look. 5. Will toxins affect other muscles at distant sites, and what happens if it gets into the bloodstream? There are no peripheral muscle effects elsewhere in the body. The Botulinum Toxin is denatured in the bloodstream. 6. May all patients have Botulinum Toxins? If you are pregnant or breastfeeding or have diseases of muscular weakness (Myasthenia Gravis, etc. ), you should not be receiving Botulinum Toxins. 7. Can all patients have fillers? Localised skin infection/inflammation and also systemic infections (sinusitis, flu, bladder infections, etc.) mandate against the use of fillers. It is also necessary to schedule inoculations, routine medical procedures, dental work and visits to the oral hygienist 2-4 weeks before or after fillers. 8. How painful are the filler treatments? Many commonly used fillers contain a local anaesthetic that makes injection more comfortable. Using topical anaesthetic agents and appropriate techniques also helps in this regard. 9. What happens to fillers after placement and over time? Hyaluronic Acid (HA) fillers are metabolised and degraded by the body’s enzymes over time. 10. Can I be allergic to fillers? True allergies to HA fillers are possible but rare. Patients with multiple or severe existing allergies to other triggers are not good candidates for fillers. We are living in a time where the non-invasive upliftment and enhancement of our skins are commonplace. Pre-juvenation is a buzzword that includes various treatments capable of delivering optimal results through the synergistic use of wisely chosen procedures. Although rare, complications may occur with the aesthetic use of fillers. The majority of complications are related to either inappropriate patient selection or issues of sterility, placement, volume, and injection technique. The choice of filling agents is also of paramount importance. The market is flooded with products, not all of which are equally safe or effective. It is strongly advised that the chosen product be reversible and from a company providing good support in the event of any adverse effects. The practitioner performing the procedure should have excellent knowledge of human anatomy, technique, safety aspects and product science. Patient selection is a crucial and often neglected area of aesthetic practice. The active involvement of well-informed patients is becoming increasingly necessary in the safeguarding of cosmetic procedures. For practitioners, selecting suitable patients, or perhaps more importantly, not treating patients who are at risk, is the first and crucial step in avoiding complications with dermal fillers. In this regard, becoming an informed patient may play a powerful role in the prevention of unwanted side-effects. Viral (Herpes Simplex), bacterial (Streptococci or Staphylococci) and acne. Prophylactic antivirals should be considered in patients with a known history of HSV to prevent reactivation due to needle trauma. Other infections should be completely cleared, with restoration of adequate barrier function, before treatment. Active Dermatitis and Rosacea. Restoration of skin barrier function may take 2-4 weeks after clearance of the active problem. Sinusitis, Periodontal Disease, ear, nose, or throat infections, dental abscesses. Increasingly, clinical evidence is emerging indicating that infections might subsequently invade implanted filler areas, inducing biofilm reactions. Later, a transition from an infection to an established hypersensitivity is possible. Active Rheumatoid Arthritis, Lupus Erythematosus and other connective tissue diseases may be aggravated by filler treatment. Anti-inflammatory and antiplatelet agents should be stopped a week prior to treatment (if medically appropriate) to minimise bruising. A list of foods or supplements compounding your ability to bruise includes Omega 3, salmon oil, Vitamin E and C, Gingko Biloba, red wine, grapefruit, dark chocolate, etc. Procedures decreasing skin barrier function (a laser, chemical peels, etc.) should be timed 2-4 weeks before or after fillers. The use of fillers over previous permanent or late biodegradable fillers is strongly discouraged as it is generally accepted that these are associated with substantially more side effects, sometimes occurring years after implantation. Vaccinations and dental procedures should be performed at least 2 – 4 weeks pre- or post-treatment. Using Chlorhexidine mouthwash prior to perioral injections will reduce oral bacterial flora for 8 hours, also minimising the risk of contamination when lip licking.